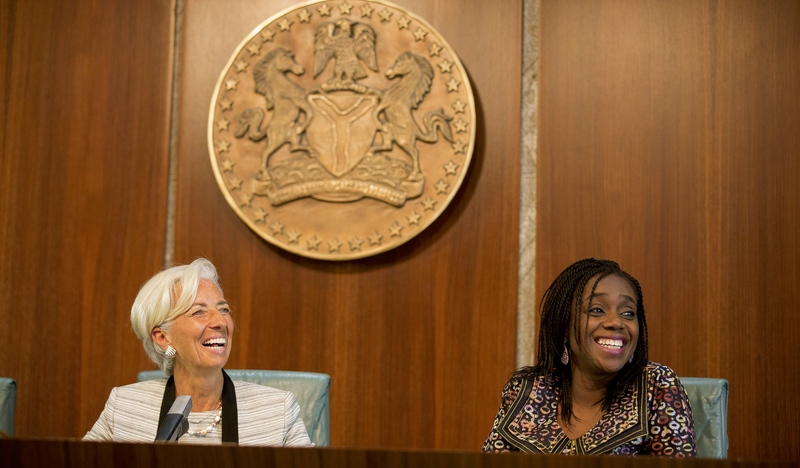 IMF's Christine Lagarde and Nigeria's Minister of Finance, Kemi Adeosun. the government has turned to borrowing to finance its expenditure as it tries to stimulate the economy. The 2014 oil price crash decimated Nigeria’s revenue stream. In 2012, revenues totaled ₦10.1 trillion, with ₦8.1 trillion coming from oil; by the end of 2016, it had fallen to ₦5.1 trillion, with oil revenues amounting to just ₦2.7 trillion. Amid this, the government has turned to borrowing to finance its expenditure as it tries to stimulate the economy. Nigeria’s debt has jumped from ₦12.6 trillion in 2015 to at least ₦20.4 trillion in 2017. Some of this was due to the depreciation of the naira which inflated our foreign debt, but most of it is as a result of aggressive borrowing under this administration. There was the $1.5 billion Eurobond used to fund the capital expenditure of the 2016 budget, then a $300 million Diaspora bond, and then another $3 billion Eurobond for restructuring the debt portfolio and funding the capital expenditure of the 2017 budget. 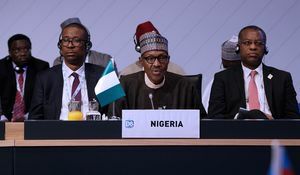 The government has even sold relatively unique forms of debt – issuing a ₦100 billion Sukuk in September 2017 and a ₦11 billion Green bond for environmentally friendly projects. And all these do not account for the increase in domestic borrowing through the usual FGN bond and Treasury bill sales. Understandably, this debt pile-up is raising concerns. 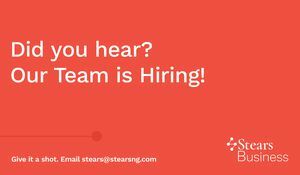 Most of these concerns centre around the fact that Nigeria’s debt is growing much faster than its earnings. After hovering around 45 percent in the last couple of years, it is possible that 60 percent of our earnings would be spent on servicing existing debt. Your Nigerian Economist thinks it is foolhardy to expect the country to run on only 40 percent of its current revenue. The unpleasant implication is that the government will have to take on more and more debt to repay old debt. One question that has been on the mind of Your Nigerian Economist is this: What are we hoping will generate enough foreign exchange revenue to pay off this volume of foreign debt? Our undiversified export base (which constitutes 90% oil) and consistent trade deficits make servicing foreign loans an onerous task. Evidently, oil is unreliable since oil price is unpredictable, volatile and internationally determined. On the other hand, foreign direct investment (which can be an important source of foreign exchange) is only attracted to countries with a promising economic outlook and flees with rising foreign debt. Meanwhile, the Debt Management Office (DMO) has responded fiercely to critics of its borrowing policy, stressing that by catching tax defaulters and deploying revenue management technology, it will increase domestic revenue as a share of total revenue to pay off the debt. This strategy appears to be working as the Federal Inland Revenue Service (FIRS) has raised much higher tax revenues for the country. Meanwhile, the conclusion of the VAIDS scheme in March 2018 should give us a clearer picture of how much bigger Nigeria’s tax base is. According to the FIRS, the goal is not just to increase tax revenues but to get to a point where they are a significant contribution to government revenues. Still, Your Nigerian Economist envisages a moral hazard problem: the government can continue to take on more debt and fail to diversify the revenue base before its tenure expires, leaving other administrations with the responsibility of repaying the debt. This is because economic and revenue diversification takes time – beyond the lifespan of any serving government. The DMO has also reiterated that its preference for foreign debt hinges on lower interest rates abroad and a desire to reduce the crowding out of private sector borrowing. Again, the problem with this is that the rise in external borrowing could worsen debt dynamics for the simple fact that it is more difficult to service a foreign debt if the naira depreciates than it is to service a domestic debt particularly as the commodity super-cycle comes to an end. Another perverse incentive is created here: the government becomes particularly unwilling to devalue the currency even when market forces suggest otherwise. Moreover, in the event that there is an external shock, the cost of a debt crisis is much worse with external borrowing. Given the country’s long-dated debt issuance, there is no telling what external shocks are on the way. For now, Your Nigerian Economist senses that rising interest rates in developed markets spells danger for our debt-servicing capacity. As for the regular claim that Nigeria does not have a debt problem because its debt-to-GDP ratio is still below the 19 percent threshold, Your Nigerian Economist presents this simple explanation of why that is a poor gauge of debt sustainability. The debt issue may seem distant and abstract, especially in a year that looks positive. But the seeds of debt crisis are planted in advance, and when the crisis hits, the economy collapses. For us to avert a debt crisis, it is imperative that we live only a little beyond our means and continue to aggressively pursue other sources of revenue.